Offered the chance to become a Sam Walton Fellow for Students in Free Enterprise (SIFE, today rebranded as Enactus), Dr. Curtis L. DeBerg saw an opportunity to engage university students with real-world challenges. SIFE was a corporate sponsored organization that brought together students and faculty internationally to present the results of their efforts to teach others about free enterprise and government austerity. How High Is Up? recounts DeBerg’s eye-opening experiences with the nonprofit organization. SIFE leaders, he learned, had violated its commitment to the principles of “servant leadership.” The principles, which DeBerg describes, were central to student and faculty believers who devoted themselves to SIFE. 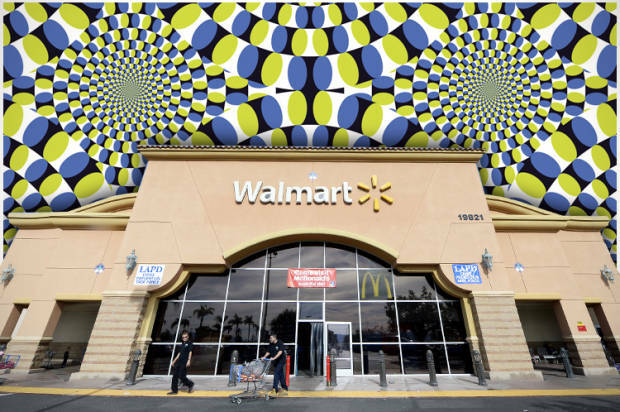 As a SIFE fellow for more than a decade, DeBerg came to believe that the organization was effectively a thinly disguised management recruiting arm mining students who bought into a specific set of corporate conservative values; namely those of Walmart. In an interview for Salon, DeBerg explains, “Walmart recruits so many of its young talent [through SIFE/Enactus] … It’s the low-cost way to recruit very good managerial talent that has already swallowed the servant leadership Kool-Aid.” This focused labor pool gives DeBerg concerns about the philosophical direction of Walmart as it recruits the next generation of idealistic, right wing managers. Despite his inspiring behind-the-scenes examples of enthusiastic students who competed at SIFE national conventions only to be faced by antics of nonqualified judges, DeBerg saw the silver lining. He wanted to capture the youths’ energy and create an inclusive business program for them free of scandal. In 2002, he founded SAGE (Students for the Advancement of Global Entrepreneurship) as a means to communicate the business and social ethics of the 21st century. According to his book, students around the world are meeting for SAGE competition in Moscow this year and in Seoul the following year. How High Is Up? has resonated with readers across academia and the business world. Rieva Lesonsky, CEO of GrowBiz Media and herself a former SIFE board member, remarks, “all entrepreneurs will relate to Professor DeBerg’s story.” Others have noted the book’s effective combination of intrigue, suspense, and ultimately, hopefulness. How High Is Up? is available at Amazon.com and Barnes & Noble. The author requests inquiries be submitted directly to him at press@curtdeberg.com To request a PDF review copy of How High Is Up? email Memoir Books. Dr. Curtis L. DeBerg earned his Ph.D. and M.S. at Oklahoma State University in business administration (emphasis: financial accounting) and economics, respectively. From 1993 to 2005, he was the Sam M. Walton Free Enterprise Fellow at Chico State. Dr. DeBerg founded Students for the Advancement of Global Entrepreneurship (SAGE) in summer 2002. SAGE is a global community of teenage entrepreneurs sharing a common purpose: to make the world a better place. SAGE’s mission is to advance ethical business practices, social responsibility, civic engagement and environmental awareness worldwide through high-school level youth participation in entrepreneurship and community service. SAGE is currently operating in seven US states and 21 countries. Dr. DeBerg has traveled to over 35 countries in the past 12 years to advance the organization’s mission.